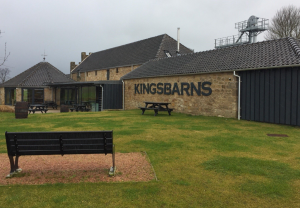 New distillery opens in Kingsbarns! East Fife Joinery (EFJ) carried out all the joinery work at Kingsbarns Distillery in association with the Colorado Construction who were the main contractors for the project and Simpson and Brown, the architects. The new distillery is based in the East Neuk of Fife, near St Andrews. Kingsbarns Distillery, which produces Single Malt Scotch Whisky, is the creation of the Kingsbarns Company of Distillers and the Wemyss family. 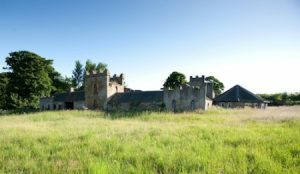 The project comprises the conversion of an existing listed farm steading into a working distillery. The converted farm steading spans 10,000 square feet, with the new build distillery aspect of the development covering 6,000 square feet of that space. “The converted farm steading spans 10,000 square feet, with the new build distillery aspect of the development covering 6,000 square feet of that space. The site comprises the distillery, cafe, shop and visitors centre. One of the challenges of the project has been striking the balance between housing the industrial process of distilling with the needs of tourists visiting the site.